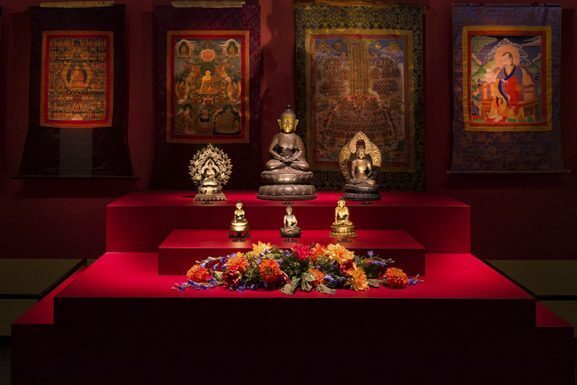 Prof. dr. Jonathan Silk will guide us through the exhibition “The Buddha- a life story and a source of inspiration” in the Tropenmuseum in Amsterdam. Join us on a journey through centuries-old Chinese monasteries and to the Buddha’s birthplace in Nepal, to the Indonesian Borobudur and the so-called Tulip Buddhism in the Netherlands. Jonathan Silk is professor of Buddhist Studies at the Leiden University Institute for Area Studies. In 2010 he was awarded a VICI grant from the NWO (Dutch National Science Foundation) for project: “Buddhism and Social Justice.” In 2016 he was elected as a member of the Royal Netherlands Academy of Arts and Sciences (Koninklijke Nederlandse Akademie van Wetenschappen [KNAW]). Silk’s scientific orientation on Buddhism is very broad, in time as well as geographically: his interest covers the oldest primary sources and the rise of Buddhist communities all over Asia, but he is equally interested in the spread of Buddhism throughout Asia. Silk reads Sanskrit, Pāli, , Classic Tibetan, Classic Chinese, and Japanese. The tour will be given in English. The maximum number of participants is 20 persons. Please bring your museum card, the entrance fee to the museum s not included.